The buyer had to make a decision this weekend, he was on a tight schedule. We arranged to see five homes that fit his needs, and your home looked very promising, in fact it was the favorite out the gate. Unfortunately, when we arrived, we could not get in. And worse still, when we called your real estate estate agent, he did not answer and did not return the call. When we called his broker, he too did not answer nor return the call. So we moved on to another home. 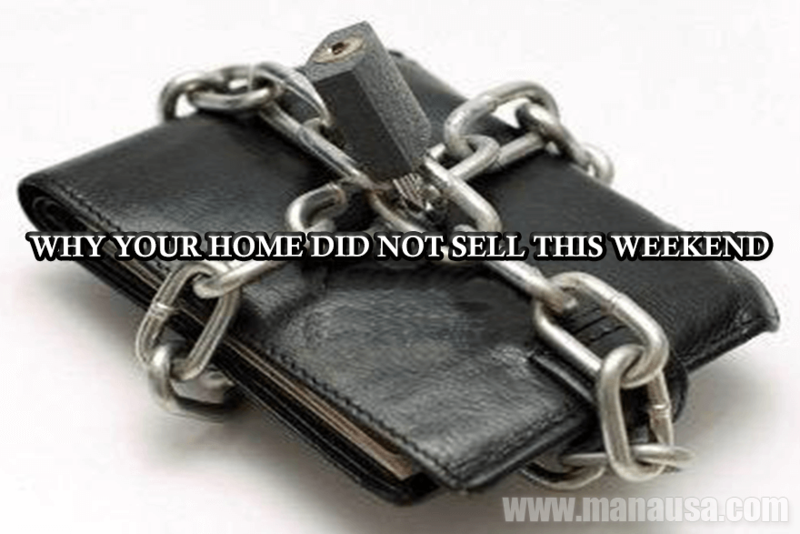 There are likely several reasons why your home did not sell this weekend. First of all, hiring a cheapskate agent who's too cheap to use the correct equipment has reduced the size of your buyer pool. In this case, he chased away a buyer who had limited options, limited time, and your home appeared to solve his problems. In other words, the best buyer for your home is now gone. Secondly, working with an agent who works independently means that you are only open for business when he is open for business. Unfortunately for you, he was not open for business this weekend when my buyer purchased a home. Our slogan is "why work with an agent when you can hire an entire real estate company," and it drives our systems and processes. We believe real estate is a 7 day a week industry, so if you are working with an independent contractor, you are likely going to get short changed when you least expect it. Finally, if an agent cuts corners on equipment and works a part-time schedule, what's the likelihood that he has executed a vigorous online marketing plan for your home? I'll give you a hint (no chance!). We spent more than 13 man-hours per day marketing our listings on the internet, how the heck were you hoping to get top dollar (or even sell your home this weekend for that matter) with a real estate agent who only put it in the MLS? If you hired the wrong real estate agent, fire him. If he is at the wrong real estate company, fire them too. If you hired him because he was a close friend or he gave you a discount, then consider it "lesson learned" and move on to a real estate company that understands how important it is for you to sell your home, on your schedule, at the highest price the market will allow. 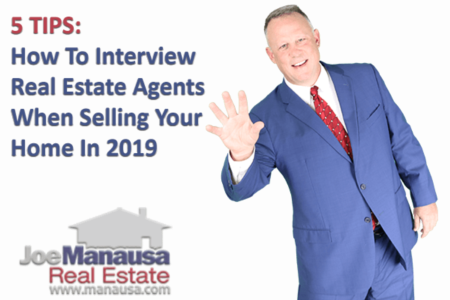 This time around, treat the sale of your home with the respect a several hundred thousand dollar asset deserves, and interview multiple real estate companies for the job of selling your home. Make them demonstrate how they are going to drive scores of people to your home online, and get them to show you their active buyer list (should be thousands of people using their company's property search tool). This is the type of evidence you should seek to know that you are working with a top online marketing company (remember, 94% of homebuyers are using the internet to help them find their next home). We would like to be considered among the group to be interviewed and we'll happily show you what we do to sell your home. 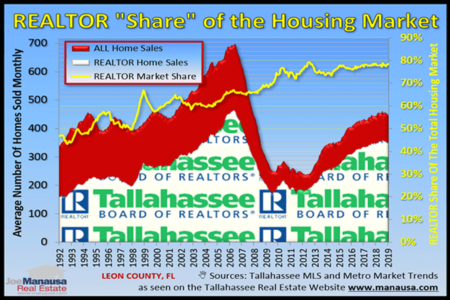 For the majority of Tallahassee homeowners, the market is robust enough that we can sell your home this weekend, and we won't cut corners to get you there. If you would like to know more about what we do to sell homes in Tallahassee, simply CLICK HERE to drop me a note and we'll schedule a time to show you our comprehensive real estate marketing plan.